Mayor Rahm Emanuel touted a jobs program Wednesday that will reportedly create 25,000 summer jobs for young Chicagoans this year. The mayor visited Children’s Home and Aid in Chicago’s Englewood neighborhood to discuss the One Summer Chicago program which focuses on creating job and internship program for Chicagoans aged 14 to 24. “I'm looking forward to another successful year of One Summer Chicago and more opportunities to keep our youth safe and engaged this summer,” he added. The program offers opportunities in industries like urban agriculture, bike repair, outdoor forestry projects, as well as office and clerical worker. According to the mayor’s office, the program created $7 million in youth wages in 2015. Opportunities have reportedly grown from 14,000 in 2011 to 25,000 this year. 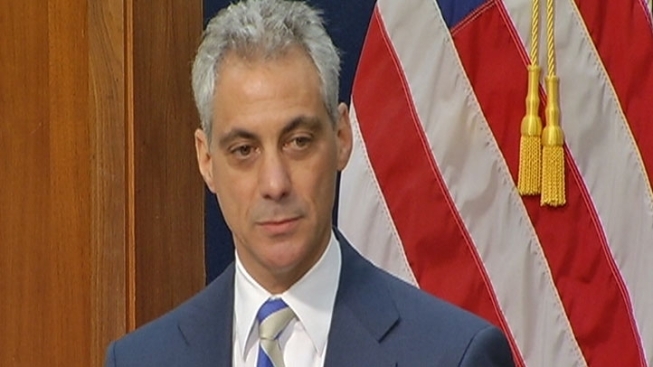 "I cannot speak enough about what this program has done for our kids,” Emanuel said. The city is also offering expanded opportunities within the One Summer PLUS program which focuses on the city’s at-risk youth. The program offers mentors, job opportunities, civic leadership training and social skill building. City Youth Empowerment, LLC, a private entity created by former NBA star Earvin “Magic” Johnson and Los Angeles Dodgers Chairman Mark Walter and his wife, invested $10 million dollars in the program in 2015. The PLUS program has grown from 700 participants in 2012 to 3,000 participants this year. One Summer Chicago is also supported by private companies including Citi Foundation, JPMorgan Chase, TCF Bank and the University of Chicago Crime Lab. Applications and information can be found at the One Summer Chicago website.